Adam de Guirande has cause to believe the turbulent times are behind him: Hugh Despenser is dead and Edward II is forced to abdicate in favour of his young son. It is time to look forward, to a bright new world in which the young king, guided by his council, heals his kingdom and restores its greatness. But the turmoil is far from over. After years of strife, England in the early months of 1327 is a country in need of stability, and many turn with hope towards the new young king, Edward III. But Edward is too young to rule, so instead it is his mother, Queen Isabella, and her lover, Roger Mortimer, who do the actual governing, much to the dislike of barons such as Henry of Lancaster. In the north, the Scots take advantage of the weakened state of the realm and raid with impunity. Closer to court, it is Mortimer’s increasing powers that cause concerns – both among his enemies, but also for men like Adam, who loves Mortimer dearly, but loves the young king just as much. When it is announced that Edward II has died in September of 1327, what has so far been a grumble grows into voluble protests against Mortimer. Yet again, the spectre of rebellion haunts the land, and things are further complicated by the reappearance of one of Adam’s personal enemies. Soon enough, he and his beloved wife Kit are fighting for their survival – even more so when Adam is given a task that puts them both in the gravest of dangers. Book 3 of The King’s Greatest Enemy, published on April 10, 2017. 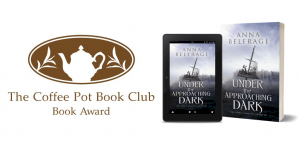 "Anna Belfrage is a born storyteller, and she obviously has done exceptional research, adding to the credibility of the facts within this novel. 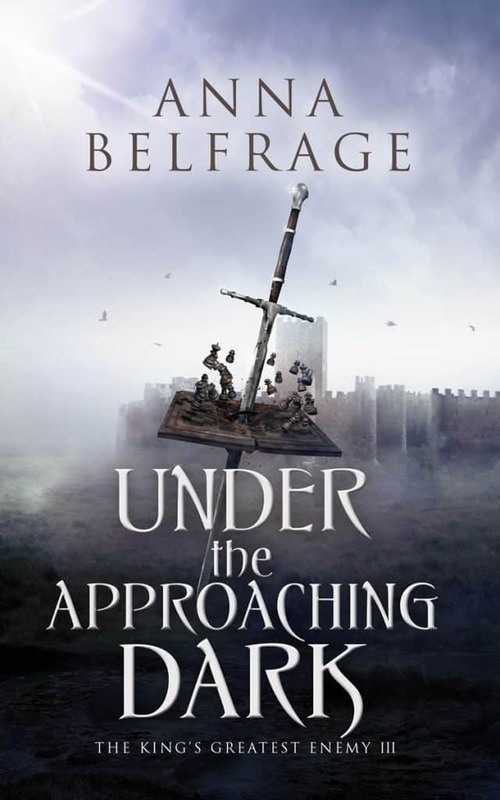 Under the Approaching Dark is commendable, highly recommended historical fiction. 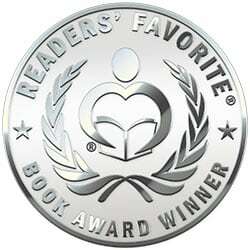 You’ll want to read her other works, which are just as magnificent!" "brims with treachery and romance"
Some great reviews have already come in!